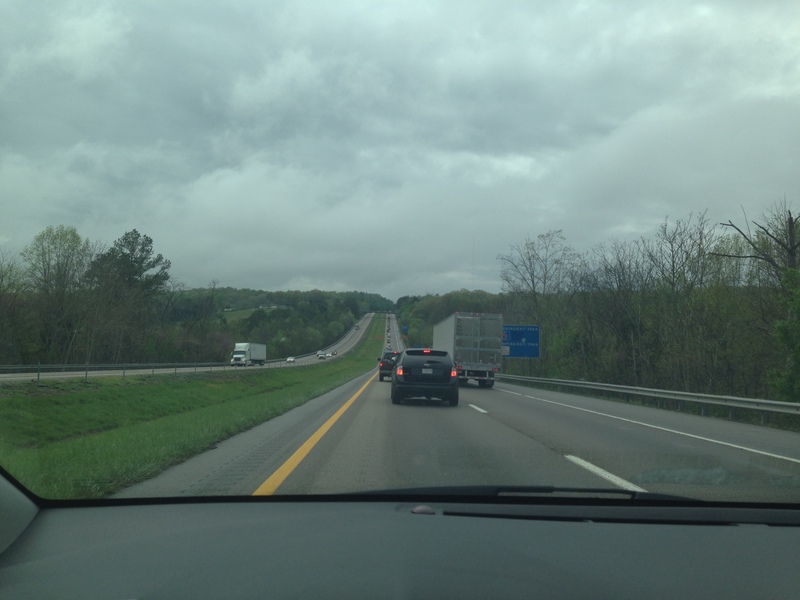 Corollary for Hofstadter’s law: Tennessee takes longer to drive than you think it does, even when taking into account the Corollary for Hofstadter’s law. 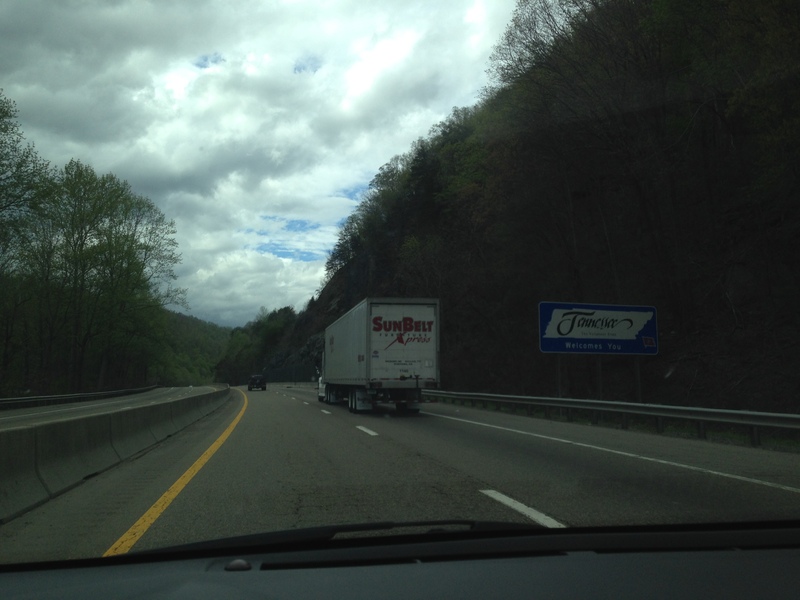 To be fair, Tennessee was only a little more than half of the distance I needed to cover. A reasonable amount to travel in one day? There was rain and construction most the way on I-40 west. 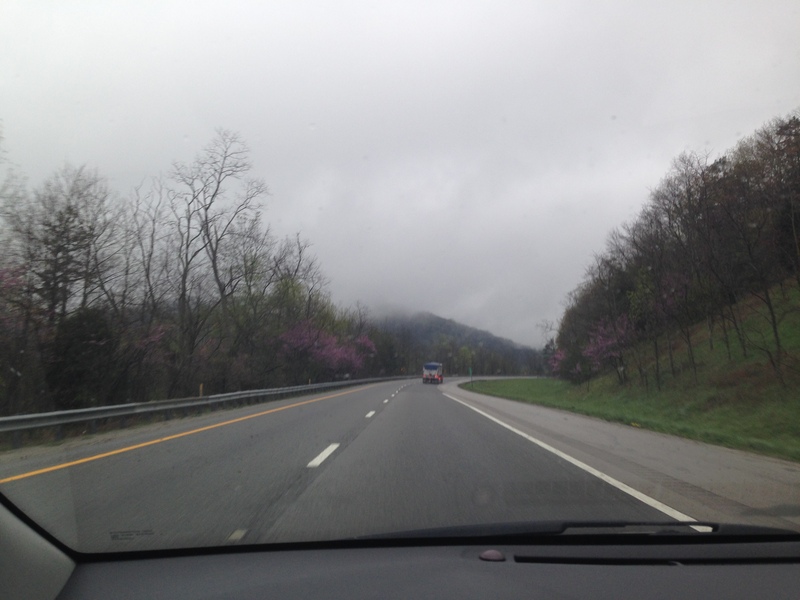 Fortunately fog and pink redbuds made the drive scenic even when I was halted to a stop. Not a good sign when you see red tail lights and one lane of traffic. Long after the sun had set and I continued on, not even close to being through Tennessee, Nashville appeared as ghostly lights through the rain. My legs were starting to get antsy and I was happy to stop driving, even in this ghost city. Very hip, ethical vegetarian/vegan places in very hip parts of town. I’d only driven past Nashville in the past to head west (or east) to (or from) Dallas, TX. 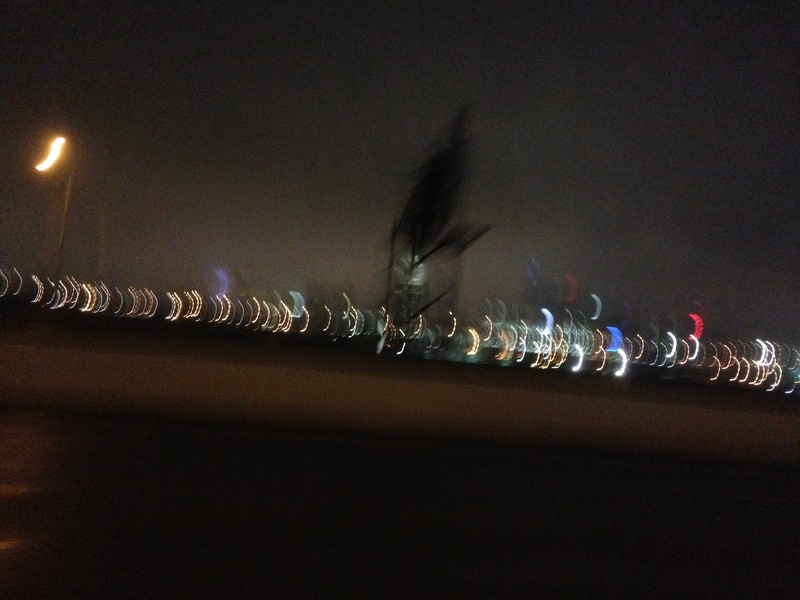 I wanted to dip into the city a little bit and get a feel for what it might be like. I tried the vegan restaurant trick by using Yelp near Nashville. I found a place called The Wild Cow. Seemed like a pleasant residential area around that restaurant. I feel like I hit the jackpot every time I see tattoos and blue hair. And not only that, the food and scene were both delectable. 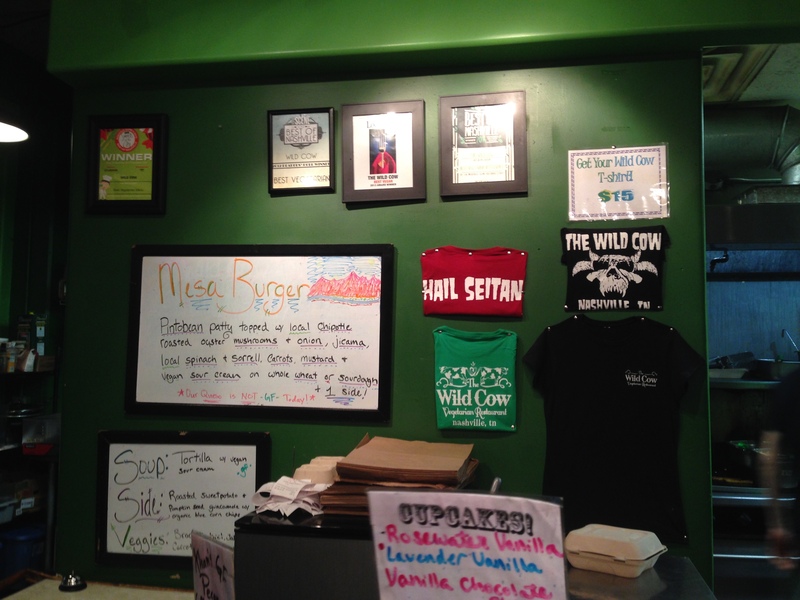 A view from the counter at The Wild Cow in Nashville. Haha, “Hail Seitan”. 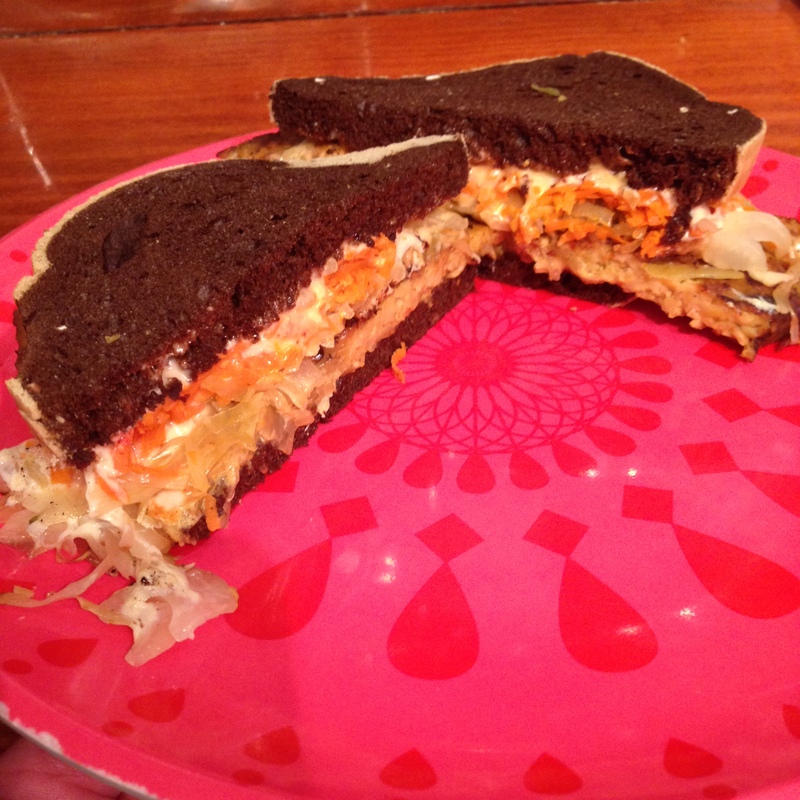 A vegan variant for the Wild Reuben at The Wild Cow. A vegan Reuben?! You betcha. 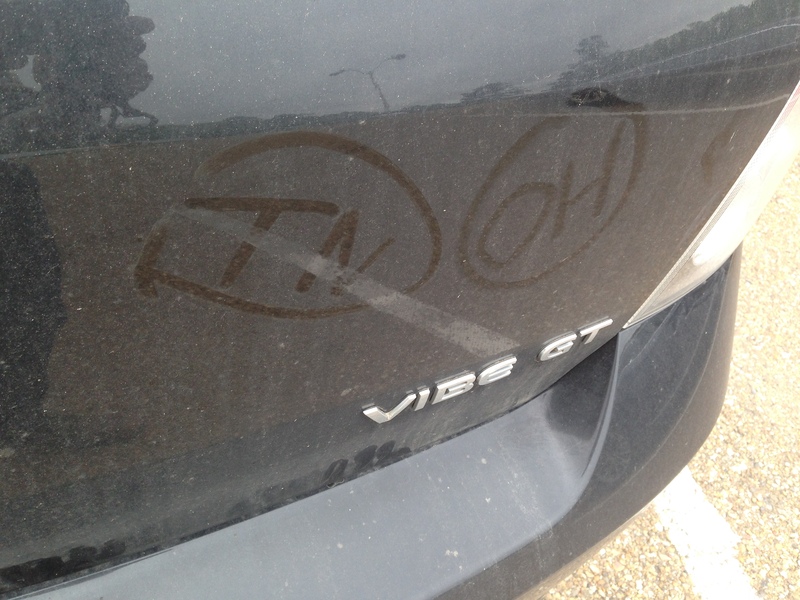 I stayed the night in Memphis after getting very, very tired of driving through the car wash that was weather over Tennessee. 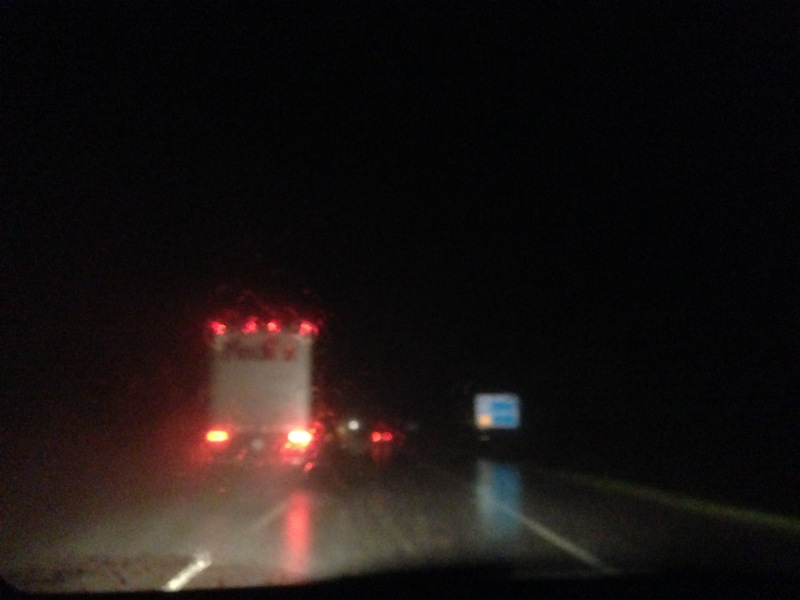 Adverse weather conditions and darkness do not make for a pleasant drive. 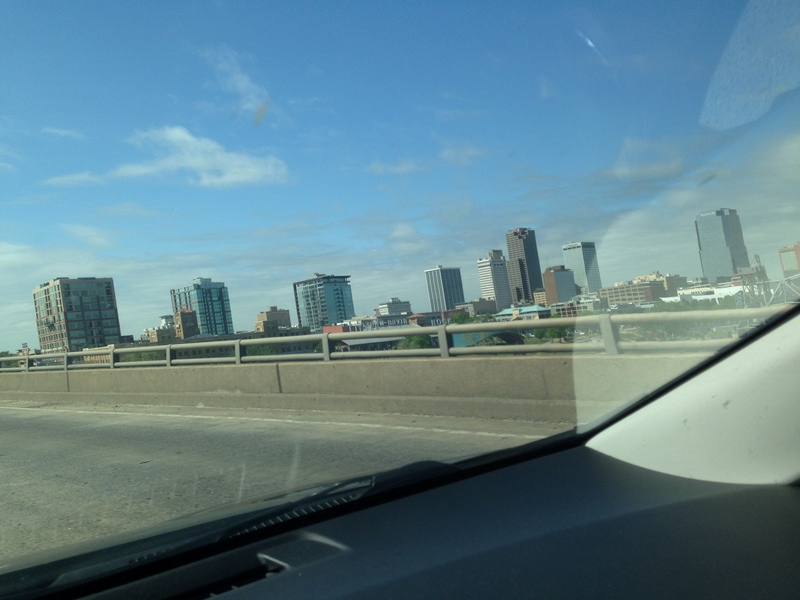 Little Rock was a beacon of hope while driving the next day. 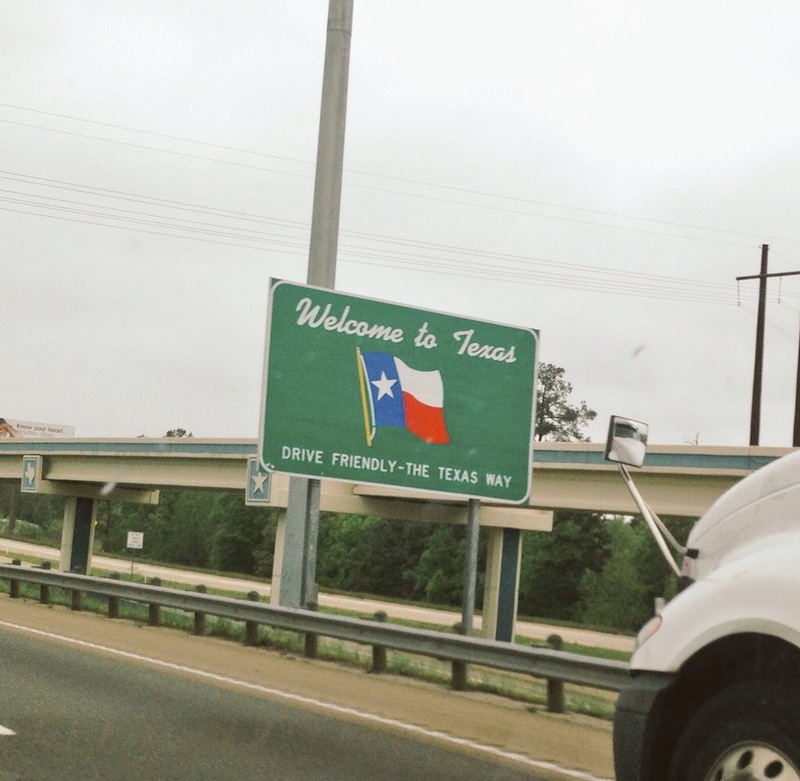 I only had a little longer to go before finally making it to Texas. The sky was clearing up. I filled up on gas there and marked another merit badge in the dirt coat my car was wearing. I traveled along I-30 long enough and sure enough eventually made it to Texas. I put on some Throwing Muses albums, looked out at the silver sky, and felt tingling elation. After two years away, I was back to see my old stomping grounds and friends and coworkers. 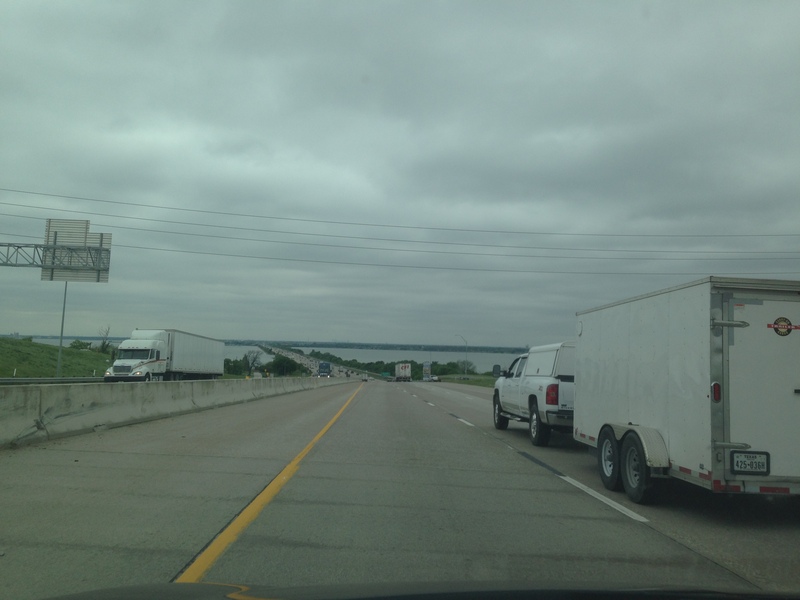 The last major stretch into Dallas. The surrounding area is called Rockwall. I could see Dallas’s skyscrapers in the distance here, but I guess the camera didn’t pick them up. Up next: an entry on the fun in Dallas, TX and surrounding area.